Frankincense Dalzielii, Janawhi, Cricognimu-Nigeria. 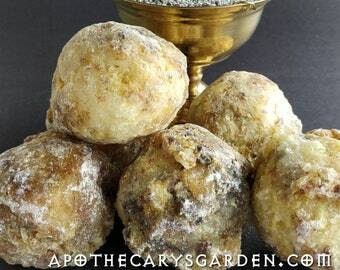 A rare and beautiful Frankincense for incense, medicine & perfume. Other people want this. 12 people have this in their carts right now. A West African Frankincense found in North Eastern Nigeria where the Hausa speaking people refer to it as Hano or Harrabi. This shipment is of the highest quality I have ever come across. It is well sorted and contains a good mix of large pieces including the rarer light and dark green tears with no bark or dust. It is beautiful material that exhibits the trademark fragrance of Boswellia Dalzielii -Orange/Citrus and Mint with earthy undertones. The locals use it as chewing gum and as incense. 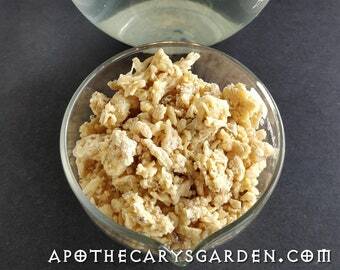 It can be used as many of the other types of Frankincense for incense, teas, oils, salves, tinctures and cremes. 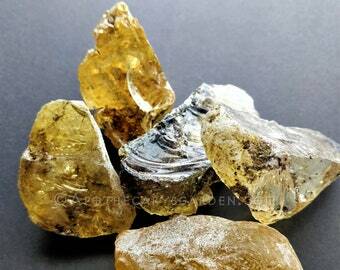 This is a premium quality Frankincense at a very reasonable price. Boswellia Dalzielii is the most western Frankincense species on what could be called the Boswellia Belt", a latitudinal band of favourable growing conditions that runs from the Ivory Coast in the far west of Africa to the eastern Horn of Africa and continues on through Yemen and Oman all the way to India and Pakistan in the East. There are about 18 species of Frankincense dispersed along this band. Though not all of them yield resin on a commercial scale, most have been used in traditional folk medicine in the areas they grow. This is the case with Boswellia Dalzielii who's bark is used locally for many ailments including wound healing, Rheumatoid arthritis, gastrointestinal problems, and venereal diseases. To learn more Google "Boswellia Dalzielii studies". A staple of churches, Mosques and temples around the world, Frankincense resin is traditionally used as incense and medicine. Its essential oil is distilled for perfumery and aromatherapy. 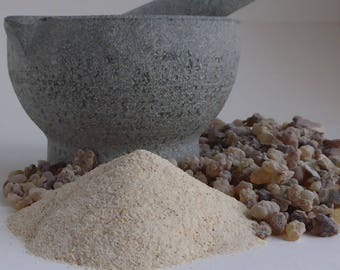 Frankincense Dalzielii bears all the features and indications that it belongs in the group of Frankincense types that provide us with Boswellic acids. These include B. Carterii, B. Sacra, B Papyrifera and B. Serrata. Though I have found no studies or analysis of the composition of its resin, I will assume it has similar chemical structure and therapeutic applications and can be used interchangeably with the other Frankincense types to produce similar medicinal oil, tinctures, oils, salves and cremes that deliver Boswellic acids. Siam Benzoin Resin-Grade A- "Almonds". Styrax Tonkinensis-Laos-For incense, medicine & perfume. Boswellia Neglecta Thurimel,Rare-Light variety- Samburu Tribe Kenya. 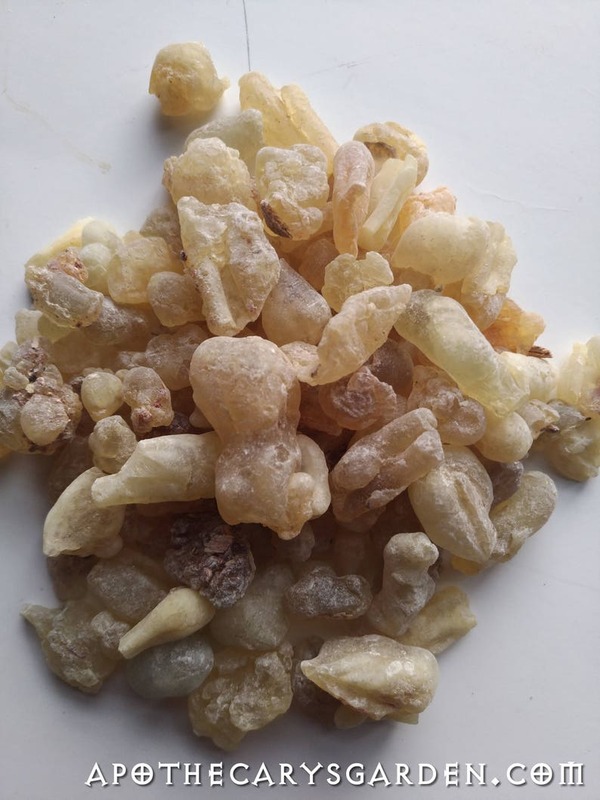 A pure resin Frankincense for perfume, incense and medicine. Frankincense Frereana resin-Maydi-Natural Chewing Gum & Incense-Co-op harvested. Resin extract of Frankincense Dalzielii. For Solid perfumes, Cosmetics, Incense and Moustache wax. I love it, it is very fresh, so soft. As of January 1st 2015 i will be working with US currency in the shop. I apologize to my Canadian customers for any inconvenience. I welcome payments via Paypal, and credit cards via Etsy direct checkout. If you are not satisfied with your purchase, let me know. I am open to accommodating returns, refunds and replacement products, depending on the situation. International orders are shipped by air with no tracking. To add tracking please contact us for a price. Regular parcel post takes between 5 and 10 business days to arrive at American destinations. Regular parcel post with Standard Shipping for international orders generally takes between 2 - 4 weeks to arrive. There have been occasions where it's taken up to 8 weeks. Once shipped, we have no control over delivery time, 99% of shipments arrive on time and safely. Sometimes one must be a patient with postal services in any country. On occasion, parcels to international destinations will get held over by customs. If your order is obviously overdue, please contact me here through Etsy, and we will try to find a solution to your particular situation. This could include waiting a few weeks longer, a replacement or a refund. Usually in that order. Apothecary's Garden and New Dawn Herbal Apothecary, do in no way represent or have intent to replace the attention or diagnosis of a qualified health care provider. The products sold on this site are of the highest quality they can be. They should be used when, and in a manner, suggested or prescribed by a qualified health care provider. Please consult a qualified health care provider for any and all persistent symptoms. Rare Madagascar Elemi resin. Canarium madagascariensis. Dragons Blood-#2 Unsorted Lumps-Island of Socotra-Dracaena Cinnabari-Medieval Dragons Blood- A rare resin at a rarely found price.